Stanley Park is regarded as one of the best urban parks in the world. I’ve revealed that I didn’t get to stay in the park as long as I would have liked, but I still had time to see a lot of cool stuff there, from totem poles to suspension bridges. I visited the entire perimeter of the park, stopping along the way to check out noteworthy sights. Here’s some of what I saw. The presence of Canada’s First Nations can be felt in many different parts of the country, from Vancouver to the Yukon. 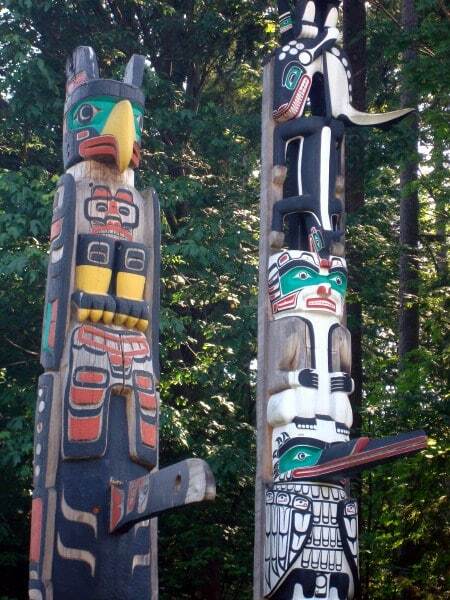 Stanley Park has a large display of totem poles at Brockton Point in honor of the area’s original inhabitants. According to one source, the totem poles are the most-visited attraction in all of British Columbia! These totem poles are eye-catching due to the colors, the sculpting, the designs. Some are recent, some are around 100 years old. All are impressive. 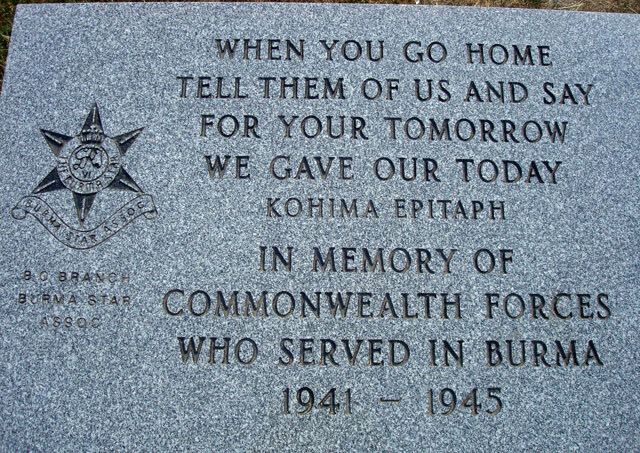 Today, this Kohima Epitaph appears on various memorials around the world, including one at Ferguson Point in Stanley Park, which served as a defense fort in WWII. 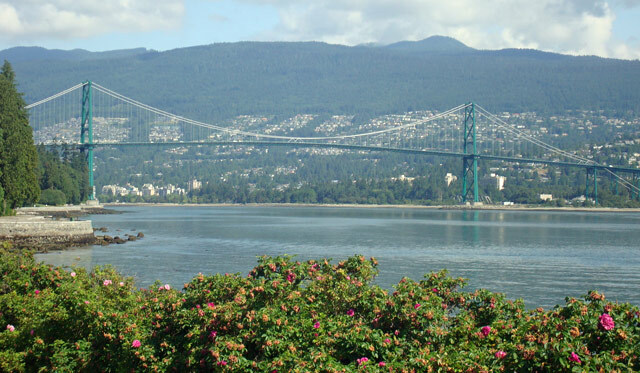 The mile-long Lions Gate Bridge connects Vancouver with West Vancouver and North Vancouver, which are all different cities (that’s not confusing at all!) Stanley Park is a great place to see the full span of the bridge, which was constructed in 1937. 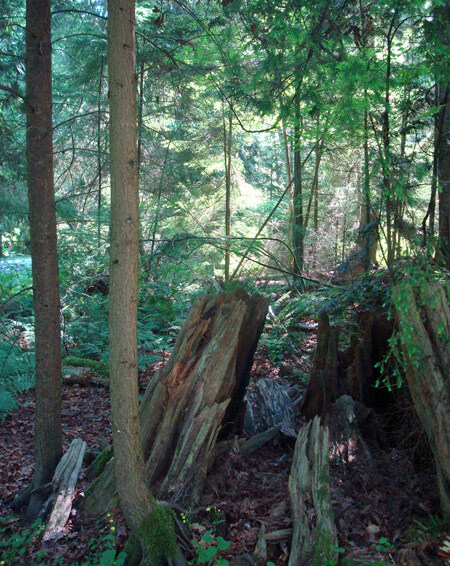 I managed to find time to sneak in a quick hike in Stanley Park and even pulled out my flying discs for an impromptu game of frisbee golf in the forest, using random trees as targets. There’s so much more in Stanley Park, including an Arboretum, an Asian Garden, a wildlife sanctuary, duck and frog ponds, beaches, bike paths, playgrounds, restaurants, and even a pitch & putt golf course. That was a fun place to visit. I would definitely go back.